The Linux Mint Installation Guide helps you download the right ISO image, create your bootable media and install Linux Mint on your computer. The Linux Mint Troubleshooting Guide helps you troubleshoot issues on your computer and report bugs to the development team. The Linux Mint Translation Guide helps you contribute to Linux Mint and translate software and documentation in your own language. The Linux Mint User Guide is a book which was written years ago. 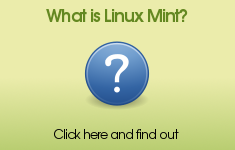 It covers many aspects of Linux Mint and is targeted at new users. ... please visit this page.